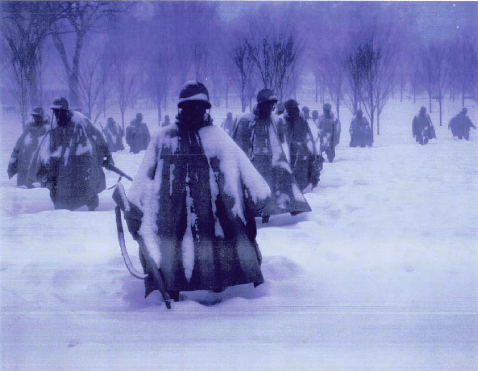 As noted in Justin Levine’s post, Dissent of the Day, a recent decision of the Court of Appeals for the Federal Circuit holds “that a U.S. stamp which depicts a view of a public Korean War memorial violates the copyright of the sculptor who designed it.” The case involved the sculptures made by Gaylord, a photograph of them made by John Alli (a “derivative work”), and a stamp made using Alli’s photograph. Alli and the USPS did not get Gaylord’s permission. Gaylord sued for copyright infringement. Thus, although points 1 and 2 went Gaylord’s way, the USPS still won in the lower court since it had the fair use defense. As a preliminary matter, we note that the inquiry must focus on the purpose and character of the stamp, rather than that of Mr. Alli’s photograph. The stamp does not reflect any “further purpose” than The Column. 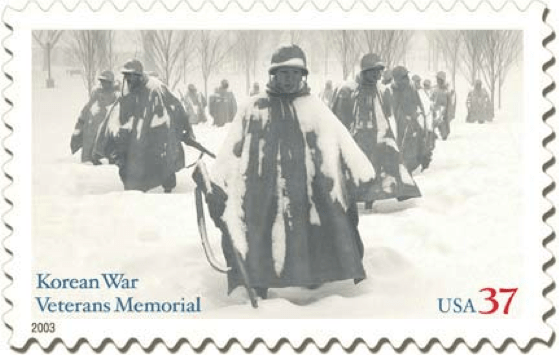 … As the Court of Federal Claims found, both the stamp and The Column share a common purpose: to honor veterans of the Korean War. … We conclude that the stamp does not transform the character of The Column. Although the stamp altered the appearance of The Column by adding snow and muting the color, these alterations do not impart a different character to the work. To the extent that the stamp has a surreal character, The Column and its soldiers themselves contribute to that character. 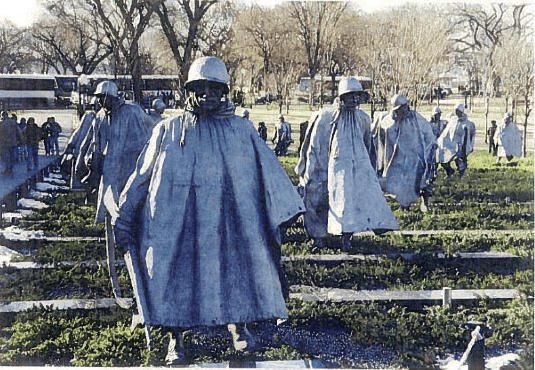 Indeed, the Penn State Team suggested that the Memorial have a “dream-like presence of ghostly figures.” Capturing The Column on a cold morning after a snowstorm—rather than on a warm sunny day—does not transform its character, meaning, or message. Nature’s decision to snow cannot deprive Mr. Gaylord of an otherwise valid right to exclude. Gottta love that last touch: “Nature’s decision to snow cannot deprive Mr. Gaylord of an otherwise valid right to exclude.” O, the majesty of the copyright law! The court the applies the other three factors, holding that two of them “weigh against” fair use, while the last one, “market impact,” favors a fair use finding. So, I guess if you have 3 out of four, the 3 “weigh” more than the fourth! Weighing the factors, we conclude that the government’s use of The Column in the stamp was not a fair use. Even though the stamp did not harm the market for derivative works, allowing the government to commercially exploit a creative and expressive work will not advance the purposes of copyright in this case. Who can really believe such unprincipled, vague “factors” have anything to do with justice? Yet you will see pro-IP libertarians trot this out all the time. Why? Because if you apply IP law itself–copyright or patent–wild injustices result. So to blunt the edges and make the law more palatable, exceptions are made–ad hoc, unprincipled exceptions to a draconian, unjust, unprincipled legislative scheme. Libertarians usually support IP because they have accepted the state’s propaganda lumping IP in with regular property, and so they tend to assume the various exceptions are also legitimate. Until you call them on it, and point out how they pretend to support IP for principled reasons yet are supporting a utilitarian-grounded exception, whereupon they will usually sheepishly back down; but this leaves them with a dilemma, since the law they favor, absent its rickety patches, is even more manifestly unjust. Next post: Should Libertarians Oppose “Capitalism”? Bad Behavior has blocked 5399 access attempts in the last 7 days.